It's a big week for Third Space. The brewery is releasing a juicy IPA and opening its beer garden. Those are just a couple of big beer events this week. It's a busy slate. Another Beer Academy takes place at Lakefront Brewery (1872 N. Commerce St.) from 6 to 7:30 p.m. Learn about the history of beer in Milwaukee. For just $15 you get an education, appetizers and beer. The Milwaukee Beer Society examines pastry stouts at its weekly meeting at Best Place (901 W. Juneau Ave.) from 6 to 9 p.m. For $15 you can sample all sorts of rich pours. Black Husky Brewing brings its delicious brews from Riverwest to Ray’s Growler Gallery (8930 W. North Ave.). Get there at 5 p.m. to try a few. Fans of sours need to go to Sugar Maple (441 E. Lincoln Ave.) at 7 p.m. to try a few pours. Sugar Maple is pouring some of its favorites until 10 p.m.
Ale Asylum is bringing more than a few goodies to The Brass Tap (7808 W. Layton Ave.) from 6 to 9 p.m. If you’re a fan of IPAs and American Pales it’s a good idea to show up. Founders is bringing some good stuff to Draft & Vessel (4417 N. Oakland Ave.) including the potent new Dank Wood barrel-aged IPA and KBS. Also, you may get the chance to purchase a bottle of the coveted Canadian Breakfast Stout, better known as CBS. The Raised Grain Brewing pop-up beer garden returns for another year. It debuts at Eble Park (19400 W. Bluemound Rd.) in front of the ice arena. Hours are 4 to 9 p.m. on Thursday and Friday and 3 to 9 p.m. on Saturday. Matty’s food truck will be there to provide sustenance. 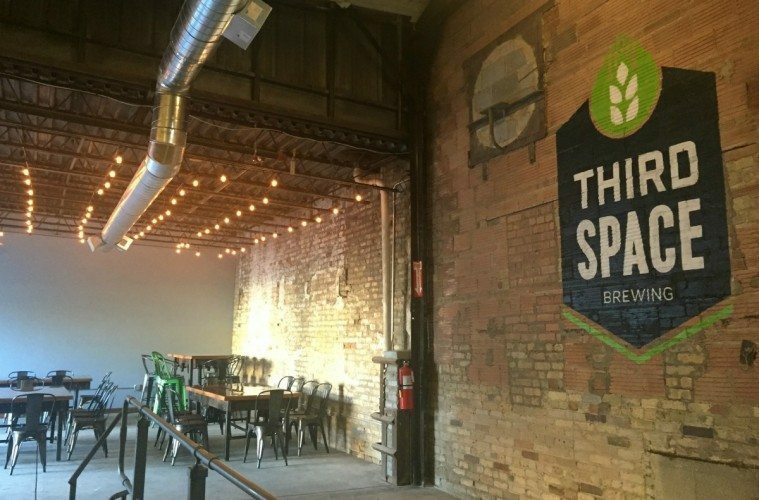 Untitled Art brings samples to Discount Liquor Milwaukee (5031 W. Oklahoma Ave.) from 3 to 6 p.m.
Third Space Brewing (1505 W. St. Paul Ave.) releases It Was All a Dream Juicy IPA at 2 p.m., just in time for the opening of the Third Space beer garden (see below). Central Waters and Untitled Art are both handing out samples at Discount Liquor Waukesha (919 N. Barstow St.) from 3 to 6 p.m.
Head to Discount Liquor Milwaukee to sample brews from Finch Beer Company and Goose Island from 3 to 6 p.m.
You never know when a limited barrel-aged beer release may happen. For The Fermentorium (7481 State Road 60, Cedarburg), it’s Memorial Day weekend. Operation: Nighthawk Imperial Stout has been aging in Heaven Hill barrels, and now it’s in just 600 bottles for your consumption. Doors open at 11:30 a.m. If you miss out on a bottle, they’ll also have some on tap. The grand reopening of the Third Space beer garden starts at noon, so raise a glass to the upcoming summer. Food trucks are on hand throughout the Memorial Day weekend. Check out the schedule on the Third Space Facebook page. Brew City MKE Beer Museum (275 W. Wisconsin Ave.) hosts a beer and cheese pairing with Clock Shadow Creamery from 1 to 3 p.m. Taste four Clock Shadow cheeses, perfectly matched with four Milwaukee craft beers. Tickets are $20 in advance and $25 at the door. Try samples from Central Waters at Discount Liquor Milwaukee from 11 to 2 p.m. Goose Island comes to Discount Liquor Waukesha from noon to 3 p.m. The Brewery Series at Sugar Maple features reps from Shorts Brewing and Lift Bridge Brewing. Learn about the breweries and sample a few of their delicious beers. Sample and compare four beers from each brewery for just $20. The sipping starts at 4 p.m.